Four years ago I announced that the RSPB had taken the serious step of making a formal complaint to the European Commission raising our profound concerns at the state of our finest designated wildlife sites in the North English moorlands - sites protected on paper as Special Areas of Conservation (SACs) and Special Protection Areas (SPAs) but which have been failing to deliver for nature for too long. Our complaint related specifically to the failure of DEFRA, through its statutory agency Natural England, to take adequate measures to tackle serious and persistent damage to one site in particular, Walshaw Moor in the South Pennines. 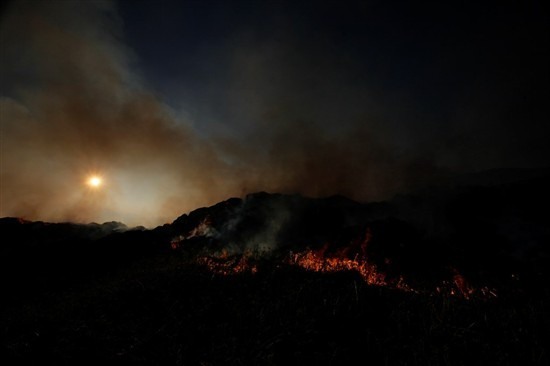 Subsequently the complaint broadened to cover the other Northern English moorland SACs - focussing on the issue of burning the heather and vegetation on the areas of deep peat soils – soils that should be supporting healthy blanket bog and the wildlife that depends on it. 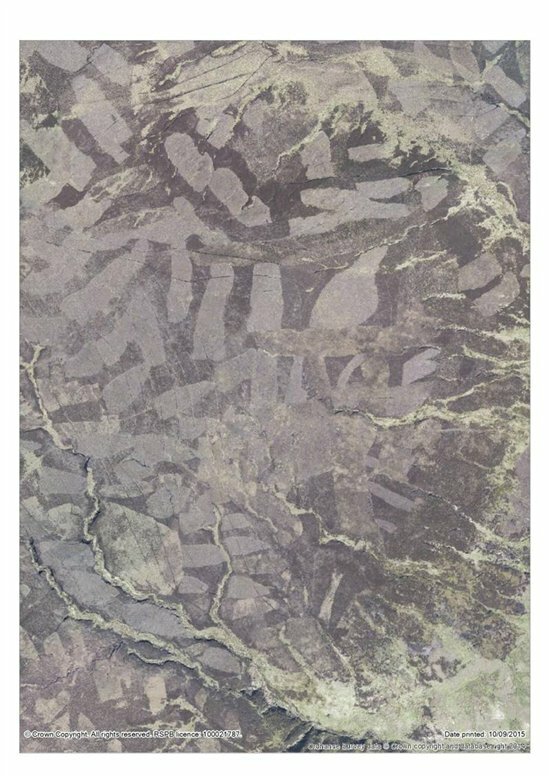 The management of many of these places has been intensifying in order to produce more and more red grouse to support the driven grouse shooting industry see here, a land use that has shaped our hills, influenced some of our most iconic landscapes and had significant impacts on our wildlife throughout many decades stretching back into the 19th Century. Today we have learned that our complaint and a separate complaint submitted by Ban the Burn have led to the European Commission beginning legal action against the UK Government by issuing a Letter of Formal Notice. This is the starting gun of a full infraction procedure when the Commission considers a Member State has not applied the relevant laws properly. From the limited information we have it appears that the Commission share our wider concerns over bad application of the Habitats Directive with respect to the blanket bog habitats that are meant to be conserved by SACs in England. We will update our page dealing with this case (see here) later today. We welcome this move wholeheartedly. These are serious matters and much is at stake. For anyone following these issues over the last four years it will not have escaped your notice that positions have become entrenched. This has manifested itself by, on one hand, repeated calls and petitions to ban driven grouse shooting in England and on the other vigorous defence of the role driven grouse shooting plays and especially the 'benefits' of burning. We have been calling for reform of the way our hills are managed with proper regulation of an industry whose unfettered ambitions to produce ever higher red grouse numbers for the gun are causing growing concern over the direct and indirect impacts on wildlife, including hen harriers and other raptors, the ability of our moorlands to cope with increasing rainfall and to play a part in reducing the risk of catastrophic floods downstream, and the impact on deep peat soils that lock up carbon and prevent its release into the atmosphere and into our drinking water. Over the coming days we will see an intensification of the rhetoric from both perspectives. I fully anticipate repeated and sustained pressure for the RSPB to join calls for a ban. That is not our position. We will probably hear more from our critics, funded by backers linked to the grouse industry, who wish to deflect us from our purposeful work. Will these be direct or via the pages of supportive newspapers? But now through the Hen Harrier Action Plan and this European Commission led process there is a chance of real progress. The challenge is now with DEFRA, Natural England and the driven grouse industry to respond constructively to the growing evidence that change is needed, and to do so positively - we will be returning to this critical issue regularly both here on my blog and on Saving Special Places. And I want to hear from you. If you are frustrated that the RSPB is not supporting calls for a ban or if you are outraged that decades of traditional management for grouse are being challenged by our actions or if you are in a place where you see scope for a constructive way forward please let me know your views. As stated much earlier, I imagine that a south-western reintroduction could involve European lowland HH stock - a bit Like Scottish ospreys translocated to Spain, or Scottish golden and white-tailed eagles translocated to Ireland or Swedish and Spanish red kites translocated to Scotland & England, respectively. So, good to hear that the RSPB is on the case with Natural England and others. And I have suggested to Martin before, that a contingency plan to rescue any deserted HH eggs and chicks, and hatch and rear them, should be put in place. Such rescued stock could also be used for a reintroduction elsewhere, or reinforcement programme close to where they were abandoned. Keith Cowieson - RSPB member & volunteer - songbird, bird-of-prey, wader, waterfowl, seabird and uplands enthusiast. Keith - yes, I'm very familiar with Carl's work, thank you. The cirl bunting captive rearing project was conducted not in order to prevent the Devon population from recovering, but to encourage range expansion. Hen harrier brood removal is designed to prevent the hen harrier population from recovering on driven grouse moors, a sort of ''remove 'em or we'll shoot 'em'' sort of approach, if you like. Carl's work in Mauritius is not aimed at preventing species in Mauritius from recovering in order to protect commercial interests; it's designed to build up the populations in Mauritius, thereby preventing their extinction. To me, the question is not ''Would removing hen harrier broods and rearing them in captivity work'' - I have no doubt at all that it would. The question is ''Is it acceptable to take hen harrier broods with the express intension of preventing hen harriers from recovering on driven grouse moors''. My answer to that is, No, it's wrong. Definitely my last on this. Got back recently from Scotland where I attended the Scottish Government/Scottish Natural Heritage-endorsed ‘Understanding Predation Final Review Seminar’. Very encouraging to participate in such a constructive, good-natured dialogue and collaborative working process. This involved a diverse group of attendees, representing many organisations and all shades of opinion. You will be pleased to know that the RSPB Scotland team was in the vanguard of championing joint & collaborative programmes designed to increase overall understanding and foster mutual trust while seeking to address the plight of Scotland’s declining wader populations. An excellent initiative and very good example of how conflict-resolution processes and discourse should be conducted. The cirl bunting recovery in Devon, and reintroduction in Cornwall is indeed fantastic news. The latter of course being an excellent example of how best to conduct a brood management scheme – removing chicks from the nest, hand-rearing them in captivity before releasing them back into the wild and, in this instance, translocating them into a part of their former range. In parallel, in order to reduce the impact that sparrowhawks have on the cirl bunting population, supplementary feeding of the local pair on dead quails was used in Cornwall. And while on the subject of brood management, what about the superb work by Welsh biologist Professor Carl Jones, who has just been awarded the prestigious 2016 Indianapolis Prize for brood-managing the Mauritius kestrel back from the brink of extinction, despite bureaucratic indifference and establishment nay-sayers, see here - http://tinyurl.com/jyyahb2. Sound familiar? Several lessons identified for us all to learn there. The recently amber-listed meadow pipit is indeed a songbird and has declined by ~40% over the past 40+ years according to the BTO. Of interest, a long-term study by the James Hutton Institute has identified that low-intensity grazing involving both cattle and sheep improved the breeding abundance of upland meadow pipits. Both over or undergrazing in the uplands is bad for pipit breeding success (and other biodiversity), militating against destocking of the uplands, see here - http://tinyurl.com/jsl6jam & here http://tinyurl.com/j4g8uqm Meanwhile an often overlooked finding from the GWCT’s Upland Predation Experiment, showed that significantly increased meadow pipit breeding success (~23%) was achieved by predator removal alone, see here - http://tinyurl.com/nv2xacn . Similarly, the increases achieved in populations of declining wader species were equally impressive – populations of the globally near threatened, nationally red-listed curlew (the UK’s most pressing bird conservation priority), red-listed lapwing and amber-listed golden plover all improved threefold on average, see here - http://tinyurl.com/h5ltjs6. So, to reiterate, hen harriers are not an issue for songbirds. Good habitat management and generalist predator control is good for the meadow pipit and upland wader species of conservation concern. I have no shooting interests and yes I presented at the Uplands Conference last year – you can see an account of proceedings here - www.newtonrigg.ac.uk/.../Martin_Holdgate_-_MULTIFUNCTIONALITY_CONCLUSIONS.pdf and could ask the RSPB’s Senior Uplands Policy Officer, another attendee, for further feedback. I present to differing audiences several times a year and last presented to an RSPB group in 2014. Thanks again for all your comments. I hope you had a lovely Bank Holiday weekend. ...on the subject of the proposed reintroduction in the south-west of England, we are on the group that is scoping it. It is led by Natural England and it is early days. Clearly the group will be guided by the IUCN guidelines, but I think that the exchanges regarding other raptor reintroductions highlight the differences of opinion about the relative merits of embarking on a reintroduction prior to the eradication of all persecution. ...should the petition reach the 100,000 mark and a debate does take place in Westminster, of course we would brief about the environmental consequences of driven grouse shooting and the urgent need for reform. I'll say more about all of this in a separate blog.